Welcome to Day 62 of 100 Days of Disney here on The Purple Pumpkin Blog! Be sure to check out all of the other posts in this series, and if you would like to share your own Disney blog posts or pictures, make sure you check out the #100DaysOfDisney Link Party! It’s another Saturday during #100DaysOfDisney so it’s time for Saturday Night At The Disney Movies! I can’t write these posts each week without mentioning Disney’s newest classic – Frozen. The film that has done about a kagillion times better than Disney ever imagined, that has got guests lining up for 5 hours to meet the characters at Walt Disney World, that has spawned lots of song parodies, and that I also think is one of the best movies that they have made. And that’s mainly for the songs, which I believe has always been Disney’s forte! I’m pretty sure everyone and its mother has seen this movie, but in case you haven’t, here is the basic outline of the plot! Elsa’s parents decide to keep her and Anna separated as they grow up, to hide her powers – conceal, don’t feel…as time goes by, and the girls grow older, the King and Queen go on a sea voyage, from which they never return. This means Elsa has become the Queen and at her coronation party (after the ceremony which goes off without a hitch, which she was really worried about), she and Anna have an argument (after Anna meets and falls in love with Prince Hans). Elsa’s frozen powers are revealed and she runs off into the forest, putting the Kingdom of Arendelle into a deep freeze. Anna goes after her, leaving Hans to take care of things. She meets Kristoff, an ice seller (yeah, tough biz in the current climate!) and his reindeer Sven. 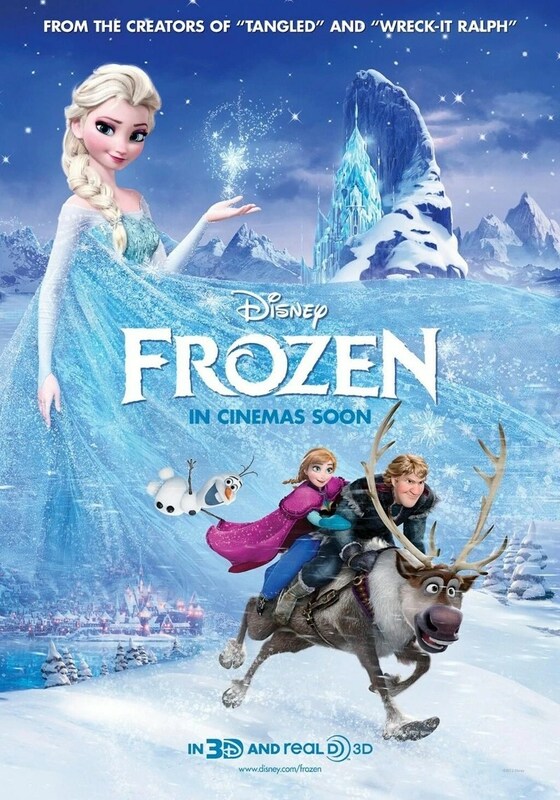 They help Anna to find Elsa and to try and persuade her to unfreeze the kingdom. Along the way they meet Olaf – a talking snowman. You really have to watch now to find out what happens next! the characters of Hans, Kristof, Anna and Sven are all named after Hans Christian Andersen. Say the names quickly in sequence and hear the similarity. over 24 minutes of the film is dedicated to musical sequences. Olaf – he’s a snowman and he likes warm hugs! Plus he’s funny and super cute! Elsa’s dress – when she runs away and decides to construct herself an ice castle, she also changes her dress and it is GORGEOUS! Elsa’s Castle – her castle is also gorgeous. I have a thing for icy backdrops! Anna – she’s so damn feisty and loveable! The twist – I wasn’t expecting it! The songs – so many great tracks – Do You Want To Build A Snowman, Love Is An Open Door, In Summer! Idina Menzel – I loved her in Wicked, I love her in this – her voice is just stunning! And because of this song – it has such a powerful message and it makes me cry! Have you watched Frozen? Do you have a household obsessed with it?! Day 62 of #100DaysOfDisney is done – 38 to go! I love frozen! I’m kind of annoyed with how big they have made disney characters faces now though.